San Diego Comic-Con is this week, and you know what that means! Actually, if you are reading an article titled “What is Comic Con” then maybe you DON’T know what that means. Back in 1939, 200 fans of the Science Fiction genre gathered in New York City for a weekend, to celebrate some awesome stories. There were even some famous authors there as well such as John W. Campbell (The Thing), Isaac Asimov (I, Robot), and Ray Bradbury (Fahrenheit 451). This was also the first time that Cosplay was created! Forrest Ackerman decided to dress up as a futuristic man. Next to him was Myrtle Douglas who created a fan magazine (fanzine) based on their love of sci-fi. Science Fiction Conventions began to grow in popularity, to the point in 1966 the fans of comic books decided they wanted their own fan based convention, and so they created New York Comicon (not the same as the currently popular New York Comic Con). The guests attended included Jack Kirby (Captain America) as well as Archie Goodwin (Batman and Iron Man). The west coast started to feel left out, so in 1970 they started their own comic convention. 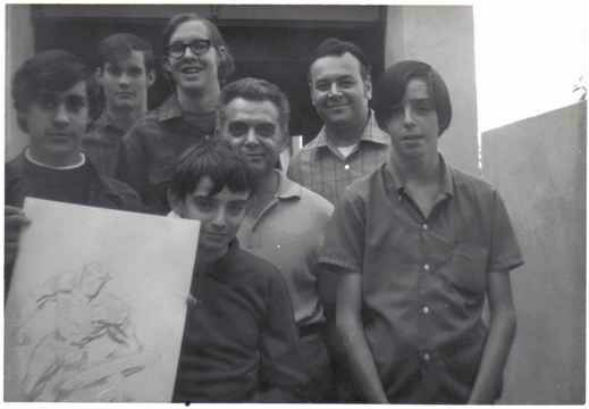 This one gathering about 300 fans, and including big names such as Jack Kirby (Spider-Man artist) and Ray Bradbury again. Not only was Ray Bradbury there, but Forrest Ackerman (pictured above) was there too, because Ackerman was the literary agent for Bradbury, as well as Isaac Asimov and L. Ron Hubbard. Then, in 1976, up and coming director George Lucas decides to hold a panel on his new Space Opera, The Star Wars, with lead actor/comic book nerd Mark Hamill there trying to convince people this was going to be a good movie. No joke, this is how empty it was. This started to get the ball rolling that conventions are for more than just comics, but for Hollywood’s more genre blockbusters. Shortly thereafter, more and more comic conventions started to spring up all over the country! The names “Comic-Con”, “Comic Con” and “ComicCon” technically were all trademarked by San Diego Comic-Con, but no one really cared about it, because we were all working together in bringing the fans together. But then the creators of Salt Lake Comic Con had to go and drive their branded car to the front doors of San Diego Comic-Con as a marketing stunt, and they started a fight. 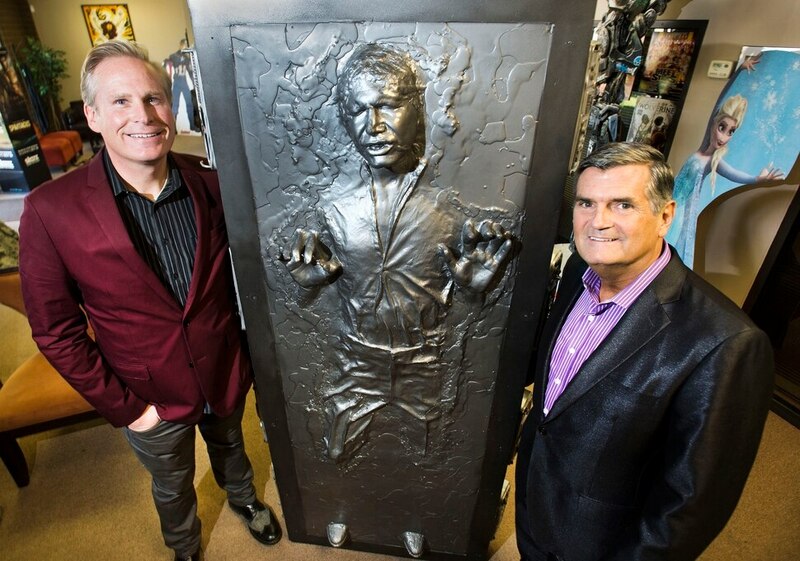 This started a legal battle in 2014, which lasted for three years, ending with the court ruling that only San Diego Comic-Con can use any of the terms they trademarked. Now every comic con around the nation has to change their names, to something as simple as “Comic Convention”, maybe changing it to “Fandom Con”, or in the case of Salt Lake Comic Con, “FanX Salt Lake Comic Convention” named after their “little brother” convention in the spring, that they had titled “FanXperience”. Since then, Salt Lake Comic Con had to deal with a number of other issues, mainly dealing with sexual harassment, but all parties responsible are no longer working with/for FanX, so don’t be afraid to go back this year. So What Does That Mean For The Fans? Fans still gather at different times throughout the year around the country/globe to celebrate comics, movies, video games, television shows, collectibles, and more. They still dress up in all sorts of different cosplays, attend panels, and meet celebrities. 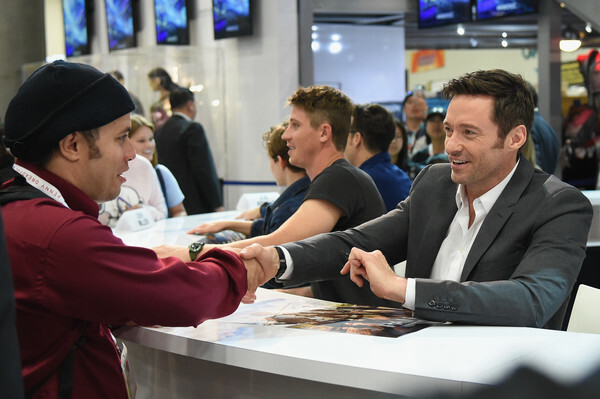 If you go to San Diego Comic-Con, chances are you’ll walk right by a celebrity and not realize it, as they blend in with the other 129,999 attendees. You’ll see the biggest stars in Marvel, The Walking Dead, and Star Wars in Hall H getting people excited for their next installment. Or if you go to smaller conventions near you, you have a chance at actually getting to know some local celebrities and podcasters, and make friends with people you didn’t know lived right down the road from you. Smaller conventions are a great way to meet great people who are too busy at the bigger cons, but you can chat with. This year, the team at The Nerdd are invited for the second time to Snake River Fandom Con, where last year we met and became friends with Adrian Ropp, a Pixar storyboard artist and cover artist for Archie Comics. 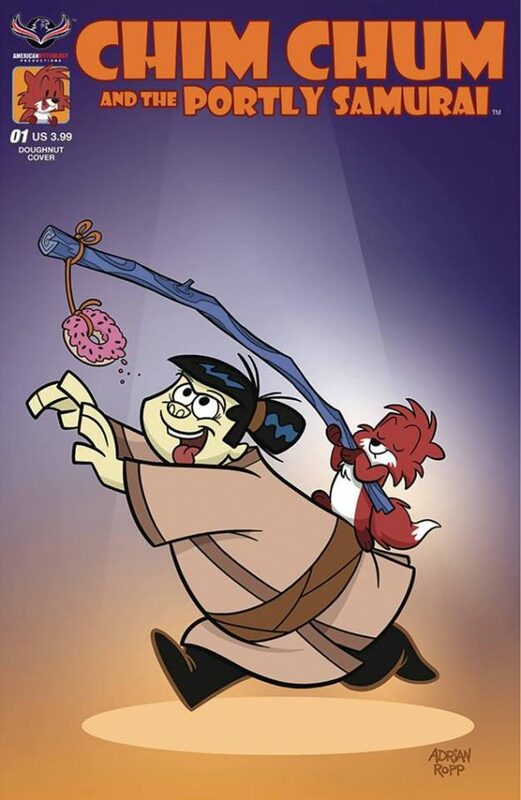 He recently released his own family friendly comic Chim Chum and the Portly Samurai. Whatever convention you go to, know that you don’t have to dress up, but you won’t be the weirdest one there if you do. You don’t have to buy any merchandise, but you will find something that interests you. You don’t have to go to panels, but you will learn something new if you sit in. Most importantly is to have fun, and don’t ruin the fun of others around you. You are all there to celebrate your fandoms, and shouldn’t have to prove to anyone that you deserve to be there. What is your favorite local con? Let us know in the comments below!